Please use the form provided on this site to input your contact info, desired program, date and time requested, and number of participants. Then, either e-mail or fax it to the Ishinomaki Future Support Association office (details below). You will be contacted within two days after receipt of the form. ※ To avoid spam mail, the @ is depicted as a Chinese character. Please do not copy & paste address but retype. We apologize for the inconvenience. 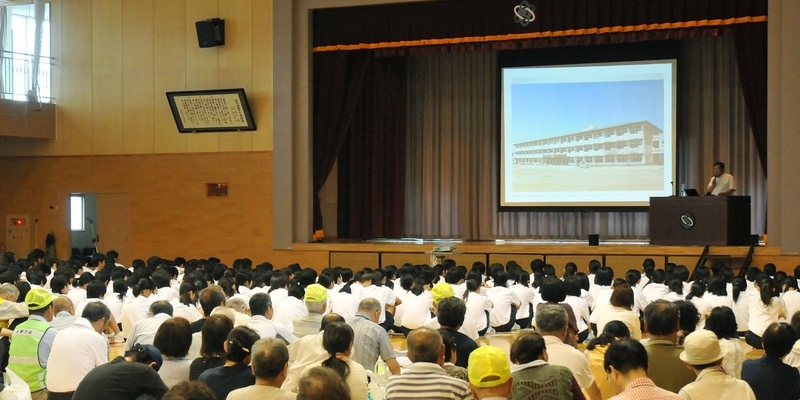 Ishinomaki Future Support Association is carrying out a number of programs designed to keep alive the memories of the Great East Japan Earthquake and preserve the lessons learned from it to pass on to future generations. 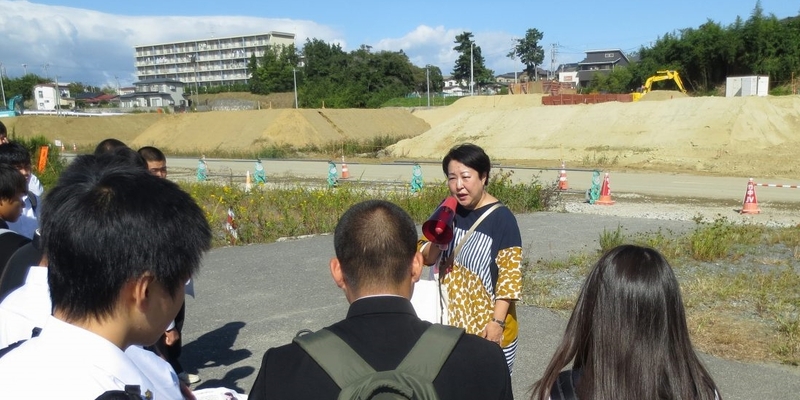 The seeds of these activities were sown just after the disaster, when residents of Ishinomaki started to tell their own personal experiences of the tsunami to the volunteers who flocked to Ishinomaki to help in the recovery effort. Later on, requests for these talks started to come in from regular members of the public, resulting in the creation of the current programs. 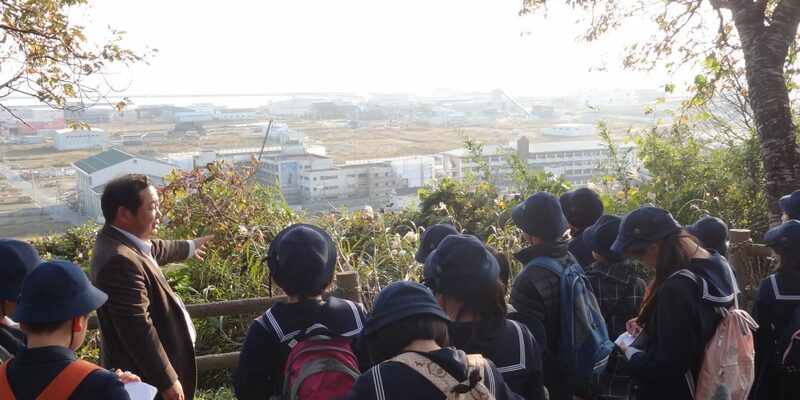 We sincerely hope that the programs will serve to help save lives in the event of another disaster, as well as teach visitors to Ishinomaki about the value of life. 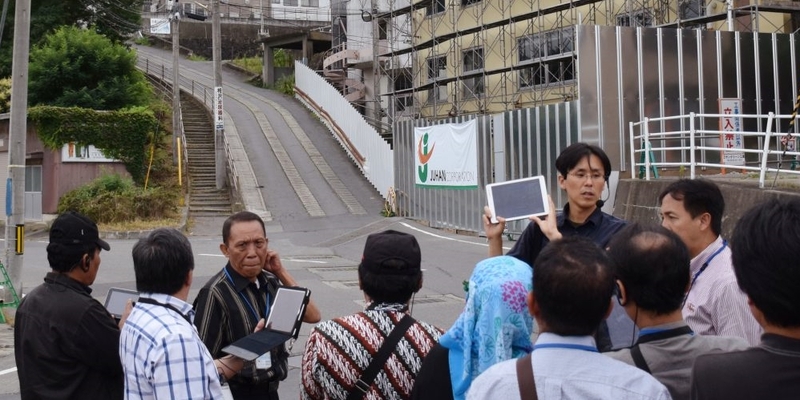 Through them, we are trying to tell people about what we learned from the disaster, what life was like before and during the tsunami, and how things have changed afterwards. This is especially important as overt signs of the damage gradually disappear as reconstruction efforts proceed. Q: Can the route for bus/car tours be changed? A: The basic route cannot be changed. 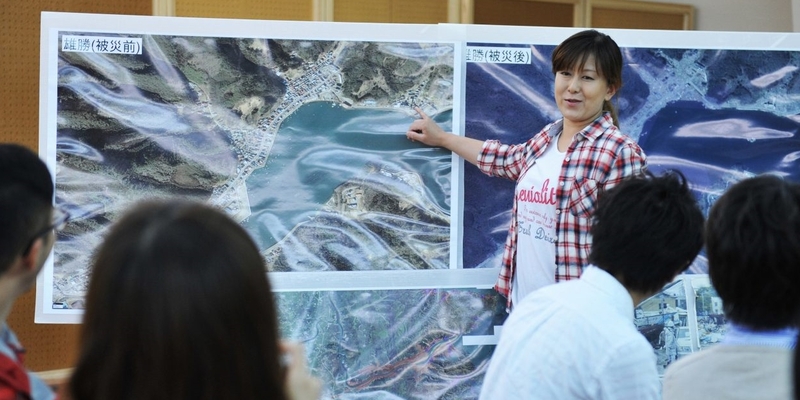 The tour route is centered around Ishinomaki Fish Market and the Minami-Hama & Kadonowaki districts, which were particularly badly affected by the tsunami with many buildings washed away. 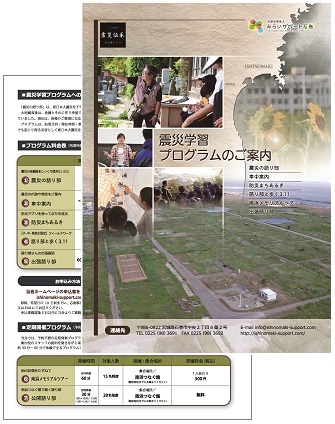 A visit to the Minami-Hama Tsunagukan Memorial Hall run by our organization is also included. Q: Can you shorten the program times? A: Depending on the program type, times can be shortened. Please enquire using the application form. Q: Is parking available for buses? A: We use existing bus parking facilities in Ishinomaki. Parking will be reserved by us on your behalf (limited to the duration of your program). Q: What should groups do about lunch? A: We will help you choose from restaurants that have reopened since the disaster. Please inform us if you have any particular desires or requests regarding cuisine.